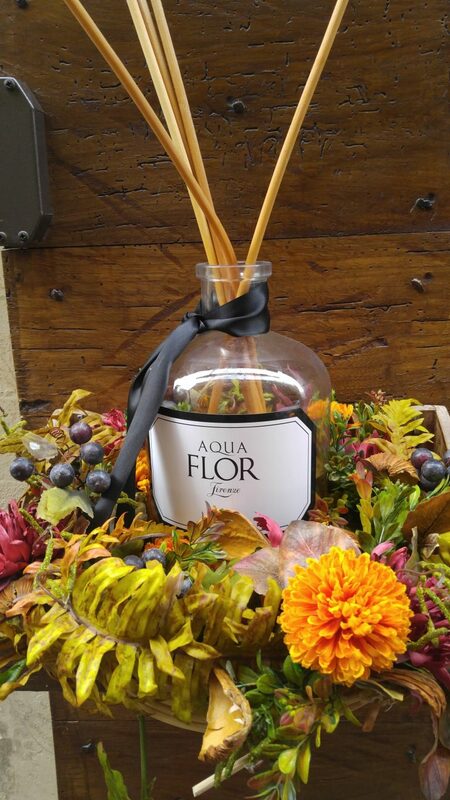 Creating a scent of your own at Aquaflor Firenze in Florence, Italy transforms you from a harried tourist to a pampered local. There is no better way to find the true expression of your personality than to have a “perfume nose” create a scent just for you. However, usually, only the very wealthiest can afford such a luxury today. While most women today simply purchase their scents from a department store, the history of perfume making has a dark, deep mysterious side. The word “perfume” has its origins in the Latin word “per-fumum” meaning “through smoke”. Apparently because the Egyptians created aromatic perfumes from burning scented wood. 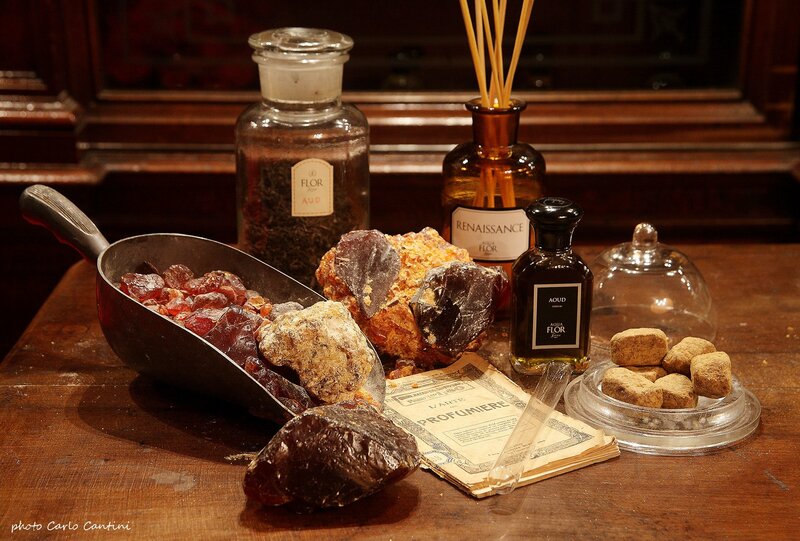 The Arabs later introduced scents to the Italians made from spices and flowers in the 1400’s. Perhaps the most famous woman connected to perfume legend is Catherine di Medici, the Italian noble woman who became the Queen of France from 1547 to 1555. She introduced scent to the French royalty, along with high-heeled shoes and the fork. She also reportedly used scent to mask other smells so that she could carry out various murders of her enemies! While scent might have a dark history, for modern women perfume is a way to express their personality and individuality. 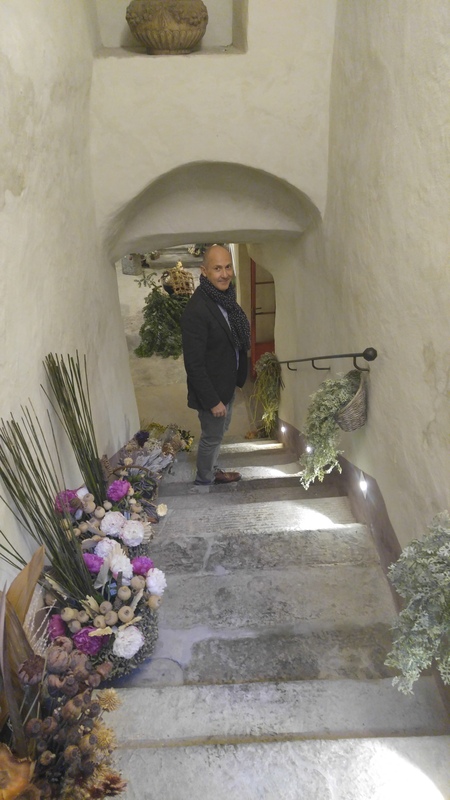 I recently toured an old world perfume shop in Florence, Aquaflor Firenze, dedicated to the craftsmanship of unique perfumes. 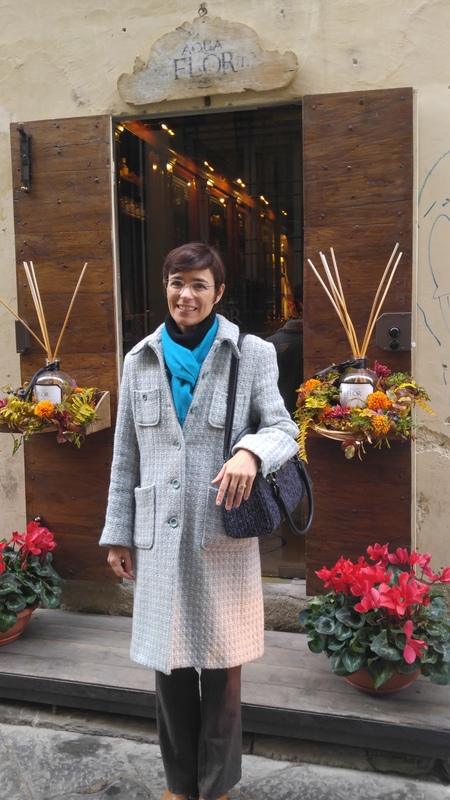 Located just around the corner from the Duomo in Florence, Italy, the shop is a joy to visit, delighting all of the senses. Located in an historic building that now houses art galleries and other creative businesses, this perfumery aims to provide clients an “authentic sensory journey”. Some come to commission a personalized scent, others to purchase elegant soaps for their homes. Through Unique Tours Factory I received a tour of this shop from my professional guide around Florence for the day, Norie. 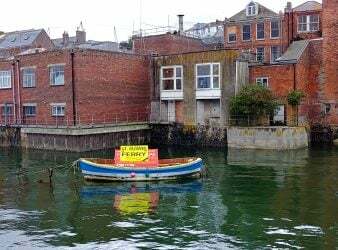 I had asked this company to create a private tour to see lesser known museums and sites around the city that would appeal to older women in particularly. My personable guide also suggested a “perfume tour”. The tour included visits to historical sites associated with the Medici family. It also included a visit to this new perfumery which is creating a buzz in the perfume world. Stepping into Aquaflor Firenze transported me into another world, one of feminine mystique and intrigue. The store’s décor is decadent and compelling, with crystal bottles behind glass doors, and dark gold accents. I eagerly sampled the creams, soaps and potions, reveling in the smells and textures enjoyed by elegant women of the world. The shop’s Master Perfumer, Sileno Cheloni, uses rare natural and raw materials to create personalized scents. By using his “Parlor of Essences,” a treasure chest of antique wooden shelves holding more than 1500 scents, he creates unique blends for those accustomed only to the best. A small bottle of these blends can cost in the thousands of Euros. The blends are reproducible only for the individual clients commissioning them. I sniffed several of the essences made from some of the rarest raw materials in the world: Incense from Oman, the Taif Rose, Sandalwood from Mysore, and Florentine Iris extract. Earlier in the week a member of the royal family from Dubai had purchased ten large bottles of these commissioned blends as gifts for several of his wives. Most of the essences were too sharp and spicy for my preferences; however the more floral essences lingered delightfully on my nose. Not in a position to commission an individual scent blending? You can still learn more about Perfume making and enjoy your personalized scent. AquaFlor Firenze offers a unique opportunity to join a Workshop to create your own special essence. Guided to select one of the available basic scent foundations, workshop participants add floral, wood, or other scents to create a blend that is unique to them. Students receive a large bottle of the scent to take home, along with the knowledge that no one else will have their scent. Their carefully preserved “formula” can be replicated only for future purchases by them. Workshops, usually for groups of ten or more, can cost several thousands of dollars. However, ask about shorter workshops for a group of girlfriends who want to have special memories of Florence. If you are not part of a larger group but want to participate, you can contact the shop to inquire if there is a future workshop that you can join as an individual. Be prepared to pay for the cost of the bottle of scent created as well as for the instruction. The specific price to join a scheduled workshop will depend on the time of year. The price also depends on the number of other students in the workshop. Before I left the shop I went into the main sales area to purchase several scented soaps for holiday gifts. Available soap sizes range from substantial bars (120 grams for 10E) to small ovals (set of nine mixed scents for 25E). Boxed in sophisticated black boxes and tied with a ribbon, the soaps make great hostess gifts, or a gift for yourself! While the perfumes were too expensive for my budget (150-180E), I also treated myself to a bottle of Rosa Damascena scented water (55E) to spray on my hair and sheets. Before I stepped out into the night I lingered a few minutes to soak up the store’s luxurious ambiance, and to dream of the day that I could take a workshop to discover my own “biography” through scent. 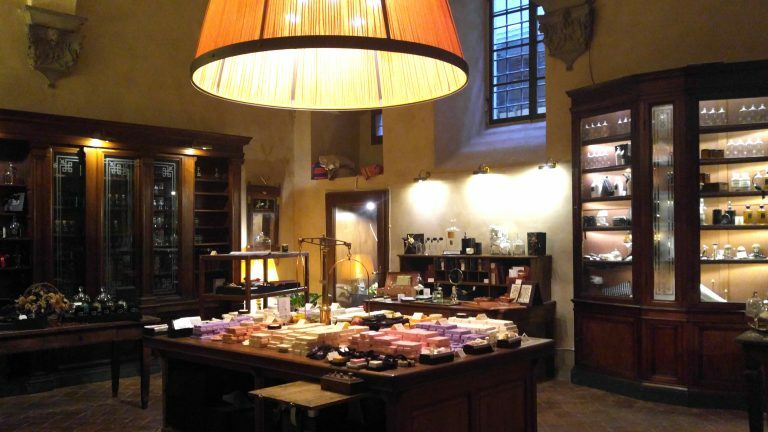 • The Boutique, located in Florence, sits just a few steps away from the Basilica of Santa Croce, in the Serristori Corsini Antinori Palace. Grab a bite at one of the restaurants and coffee shops along the block before you visit the store. • You can see additional pictures of the shop and the Master Perfumer at the website for Aquaflor Firenze. You can also download a map of the area so that you can find the shop easily. Purchase store products online, or, for more fun go to Florence in person to purchase them! 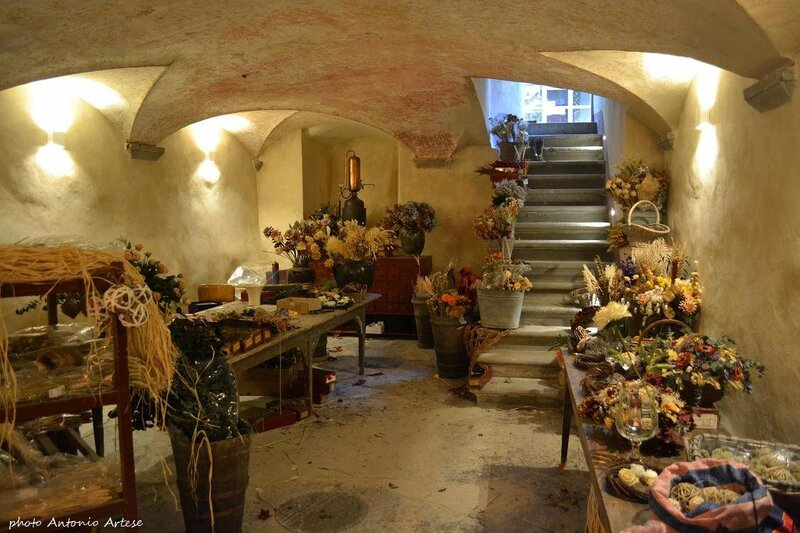 • To enjoy a great tour around Florence, check out Unique Tours Factory at www.uniquetoursfactory.com. The company provides professional guides for private tours in the major cities around Europe. 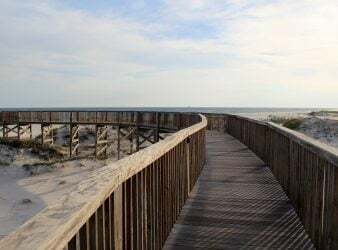 Tours can be tailored to your specific interests and needs. 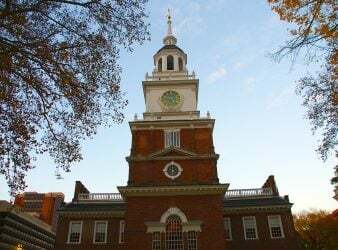 For instance, my tour was adjusted to accommodate some mobility problems that I had from a recently broken foot that was still mending. My guide helped me to plan a tour route for us that maximized my physical energy. At the same she ensured that I visited areas of Florence that were less traveled. Note: I received a complimentary tour of Florence from Unique Tours Factory; however the views expressed in this story regarding the tour are my own opinion. All photos provided by Aquaflor Firenze or taken by the author.